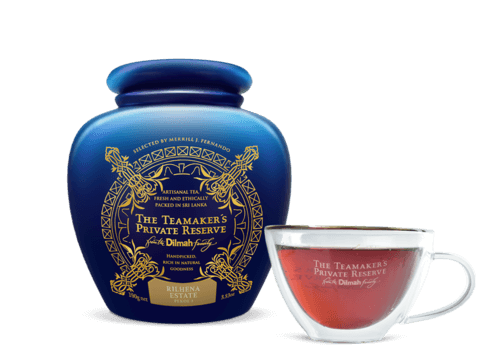 "Rich in flavor with a touch of malt and hints of fig and stewed fruit." 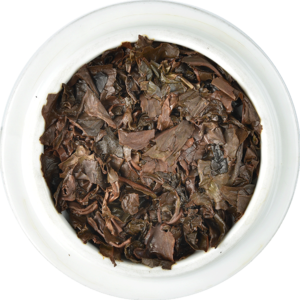 The inky black, rolled Pekoe leaf, with shotty appearance evolves into a coppery, dark infusion when infused. 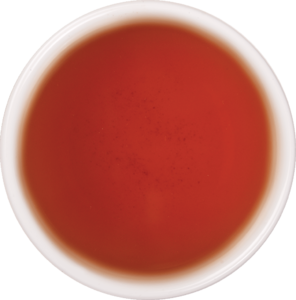 The mahogany colour and thick aroma suggest a full bodied tea and indeed presents a surprisingly powerful, yet restrained tea with an earthy character that is typical of tea from the Ratnapura Region. 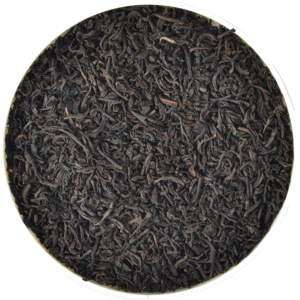 This tea is rich in flavour with a touch of malt and hints of fig and stewed fruit. Rilhena Estate is situated near Pelmadulla town in the Sabaragamuwa Province, an area enriched with gem stones. The estate is also in close proximity to the historic Ganegam Buddhist Temple which was purportedly constructed by King Walahamba in the 14th century. The distinct feature of this temple is the large statue of Lord Buddha in a standing position, which is an uncommon pose for statues of the Buddha found in Sri Lanka. This temple is an important place of worship for Buddhists.